What is With a Terrible Fate? With a Terrible Fate is an online publication dedicated to analyzing the storytelling of video games. Our content ranges from articles, to podcasts, to convention panels, to videos. With a Terrible Fate is giving everyone new tools for understanding and appreciating video games as a form of storytelling. 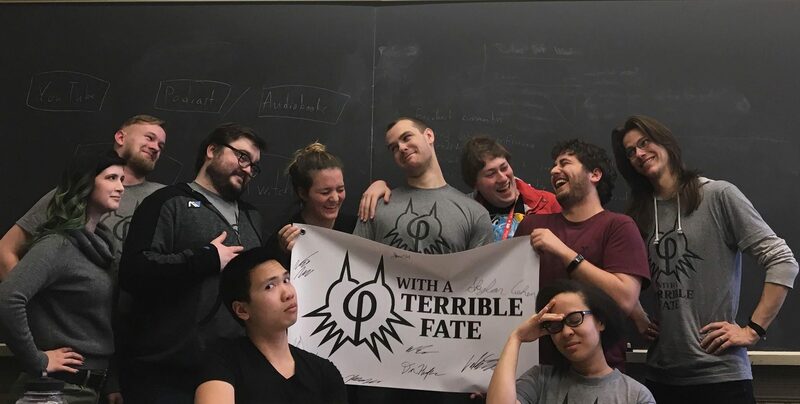 With a Terrible Fate is a diverse team of video game analysts: people who are passionate about understanding the stories of video games in rigorous and illuminating ways. We publish long-form analytical articles discussing everything from the real science behind SOMA, to the metaphysics of The Legend of Zelda, to moral decision-making in The Witcher 3. We’ve also given talks at places like Harvard University, PAX East, The British Society of Aesthetics, PAX West, and PAX Australia. We believe that video games are the future of storytelling and that their stories deserve a new language for fully grasping their value. We’re trying to design that language. As part of our commitment to producing the best work on video games on the internet, we promise to never use ads or sponsored content. We’re entirely supported by people who believe in our mission through Patreon. If you love what you see here, please consider becoming a Patron and claiming rewards that get you even closer to the work we do. Aaron Suduiko founded With a Terrible Fate in 2014 as a personal blog. After Nintendo announced that it was remaking Majora’s Mask for the 3DS, he was inspired to create the blog and publish weekly analyses on the philosophical value of the game’s story for 3 months, until the remake was released. After Majora’s Mask 3D was released, Suduiko turned his attention to analyzing other games, like Dark Souls and Xenoblade Chronicles, from a philosophical perspective. As he published this work, other gamers got excited about analyzing games in this rigorous way, and they joined With a Terrible Fate as newly minted video game analysts (then called “Featured Authors”). By 2016, 5 video game analysts had joined Suduiko on the site. In November, the team was invited to speak at PAX for the first time: they discussed the science, mythology, and philosophy of horror video games with a crowd of about 300 people at PAX Australia. 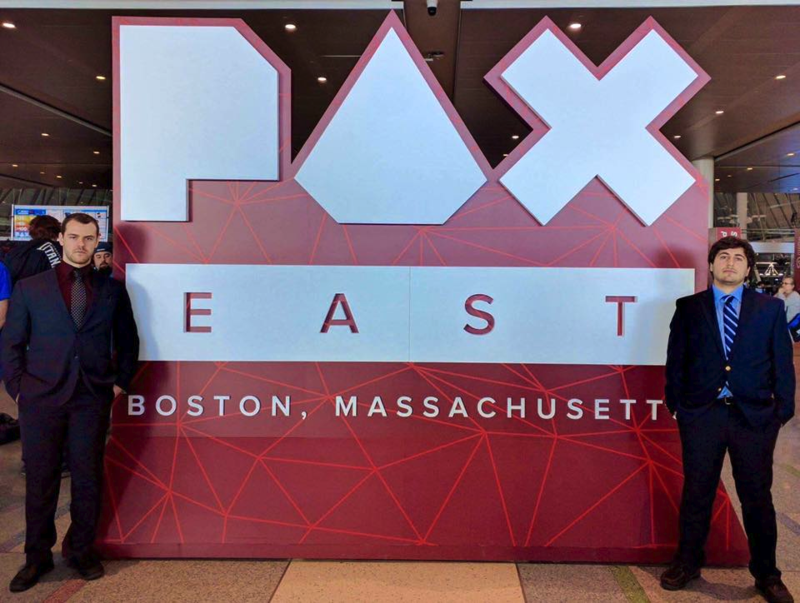 In March 2017, they discussed the real science and philosophy of science behind SOMA and BioShock Infinite with a crowd of about 500 people at PAX East. Since then, With a Terrible Fate has spoken regularly at conventions all over the world. Now the site is aggressively developing. We’re constantly looking to bring new video game analysts onboard, and we’re planning to diversify the content we publish, both in terms of content and form. We’re excited to continue growing With a Terrible Fate as the central hub of rigorous video game analysis.